Our REALTORS® can help you see inside every Middletown, Indiana house listed by any real estate agent or broker. When you find a home you'd like to see, submit a showing request or call us. 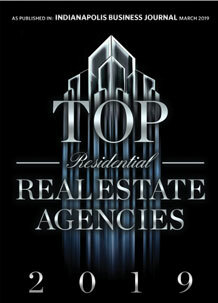 Get Middletown automated home sale updates. 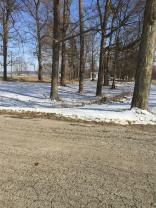 BUILD YOUR OWN CUSTOM HOME ON THIS THIRD ACRE LOT IN AN ESTABLISHED NEIGHBORHOOD IN SHENANDOAH SCHOOLS WITH EASY ACCESS TO ANDERSON, INDY AND MUNCIE. CITY UTILITIES AVAILABLE. Prominent home, corner lot across the street from the Middletown Library. Original wrought iron fence, plenty of unique, timeless features original to the construction. Be prepared, once you buy it you'll be asked to join the Home Show in Middletown! Both wooded lots, 131 X262. Approximately 1 acre. Seller is selling lots for residential use only. House built on lot must be custom built and consist of at least 1500 square feet. Very nice 3 Bedroom home with spacious 2 Car garage Nice 1/2 Ac lot in a Great small town. Browse Middletown Neighborhoods or find Middletown Open Houses coming up this weekend. Look for Middletown Foreclosures, HUD, & Bank-Owned Homes for sale, or look for Middletown Water Front Properties. You can also view Off-Market Homes or search Middletown Homes for sale by Street Address.